What if the Acceptable Savings Rate for You is 50% of your Disposable Income? There is something horrible being passed around during this year’s Lunar Chinese New Year that we did not see in the past year. 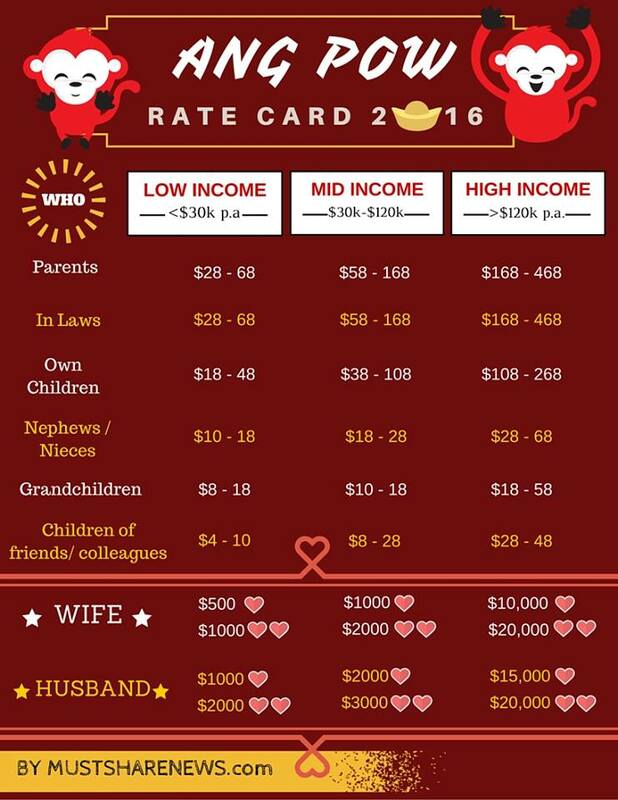 It is this few Ang Bao Rate Table. As if Hotel and Restaurant Rate Table for Weddings is not enough, we require the same for how much you give different type of people you meet during this festive period. I share this one because it is more favorable to the guys haha! My lady Investment Moat readers please do not hate me! There is another one that shows the amount the guys have to give the wife. I think not many people will take this table seriously. However, the conversations that you see take place can be hilarious. People become very judgmental and often incredulous with the amount tagged to each income group. The folks that are clearly middle income find it hard to believe that if you are earning $30,000 per year, you should be giving at least $8/pkt to folks that you are not close to. Even my good friends who have an income of $120,000 was shocked at the minimum $28/pkt. When it comes to believing in the numbers in hotel and restaurant rates for weddings is another matter. Most seek out the numbers so as not to underpay. For those who cannot afford it, they will pay their own rates. I guess it is the same for all things. It makes me wonder: Why do we look up a table like this for Ang Bao and Hotel Rates in the first place? I realize the existence of herding mentality in the many things we do in life. Gifting is one of them and rightly so, if you failed to live up to your social circle you might face the daunting prospect of be ostracize by your clansmen and tribe. And due to financial limitations, you always want to look to pay the bare minimum. If you value your status in the clan and tribe more, you look at the table and pay the norm, or higher if your ego is that big.. The clan and tribe, with these rate tables have given you the official code of conduct and regulations. If you value gifting, you wouldn’t even follow this table. You will be very generous with your Ang Bao. In the extreme case, it may to the detriment of other aspect of your life. When we look up this table we want to be align with the social clan and that gifting is not high on what we value. These regulations ensures that everyone keeps in line, and generally creates a more harmonious and stable system. However, it ensures that the system is stable, and perhaps not always for the individual. As an individual, YOU need your own code of conduct and regulations. By this it means, you have to have an opinion in general how you would conduct your family and yourself in every day matters. If you do not have this, you build up the stress by towing the line of society when you start deliberating whether to follow or not to follow. My advice: Make sure that what drives your code of conduct and regulations to be less about monetary but more about principals, holistic view of your life portfolio. And that things are fundamentally sound. Suppose you are deciding how much to give to your grand mother during Chinese new year. Base on what you know about your last year household income, you typically allocate X% to Lunar Chinese New Year giving. Amongst the priority of elders and relatives, your grand mother ranks the third highest, and so you give $200. This is innovative and I believe Ah Ma will appreciate the personal touch. It shows your own personality or your own conduct and regulations in these manner. And it is systematic and sound. There is a symmetry between gifting for these social events and how much you put away to building wealth. One of the most popular question that I received over the years is: Is 10%, 15% or X% of savings OK? What people want to do is to ensure that they do the right thing by society norms. And put in the minimal to meet the “right” amount so that they can spend the rest. At this point, they do not value saving that high, versus some other needs for their disposable income. So what if I tell you that the right percentage of saving you need is 50%? Does every one really save so much? How can it be possible that everyone save so much? You are trying to be the sheep in the herd. The amount is so far out of wack that you choose not to believe it. If you would like to form your own rules, you need some knowledge and wisdom how 50% is derived, what is the end goal of putting away so much, how to execute putting away 50% and whether this figure is fundamentally sound. As an eye opener, putting a larger percentage to building wealth speeds up your goal of financial independence. 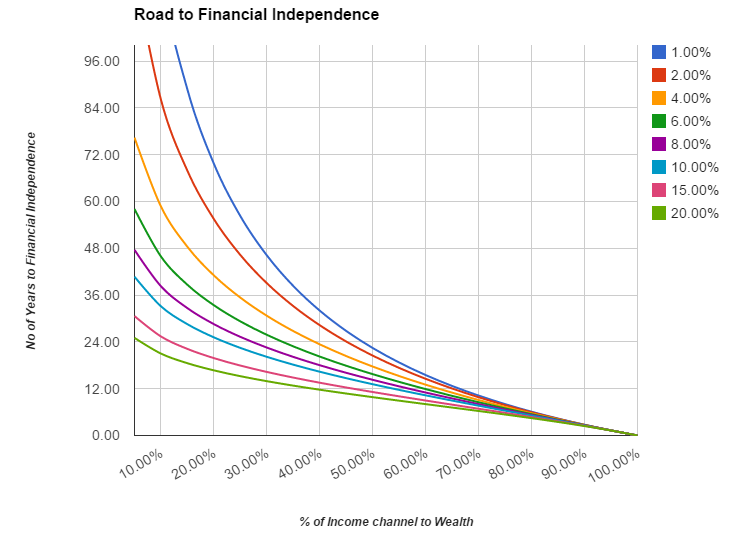 The above chart plots the number of years to financial independence versus the percentage of disposable income put to building wealth. Each line shows the various rate of return of your wealth building method. If you can only put away 10% – 15% of your disposable income consistently, the number of years to that goal ranges from 16 years to 100 years. If financial independence appeals to you, figures high in what you value, and you are able to put away 50% of your disposable income to it, the number of years to that goal ranges from 11 years to 23 years. If you put away more, the rate of return of how you build wealth matters less. You don’t have to spend additional efforts learning to buy properties, trade forex, play the stock markets. Perhaps putting in a portfolio of bonds, insurance endowments will do. 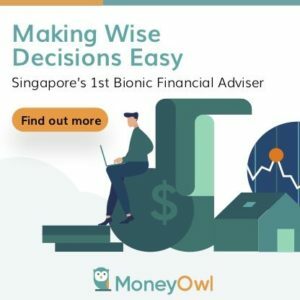 Do you want to put away 10-15% like what CPF or some financial adviser tells you blindly and at the end of the day you realize it is not enough? Or do you want to break away from the crowd, understand things better and set your own percentage you will put away to building wealth? I always encourage you to at least understand why things are the way they were so that you can build fundamentally sound decisions. Being always safe might not get you to were you are, and become worse when the general consensus is wrong. Its going to be the year of the Monkey soon and for someone born in the year of the Monkey I am not looking forward to it. But here is to you having a great and prosperous Chinese New Year! Hope you and your family have a great reunion dinner and a good year of the fire monkey! I am a giam gana then. Happy Chinese New Year Sillyinvestor! I wonder if people (parents/grandparents/in laws/ wife) will take it kindly if I tell them “Ah ma, I use the ang pow money I prepare for you to top up your medisave!!! Gong xi fa cai!!! Come, eat some bak kwa! !